Hellboy's future guardian Trevor Bruttenholm, working for Britains Military Intelligence, uncovers a collection of messages. The messages throw him into a world of animated corpses, deadly mystics, and Nazi agents. The treacherous journey leads him face to face with the man who will bring Hellboy to Earth--Rasputin! 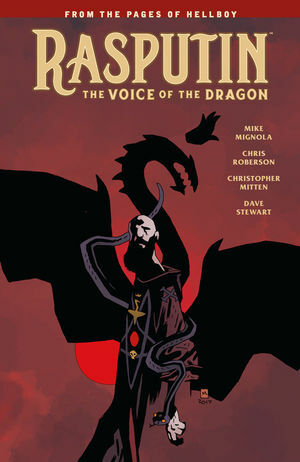 Collects Rasputin: Voice of the Dragon #1-#5. ''History buffs will love it and Hellboy fans will need it.'' --AiPT!